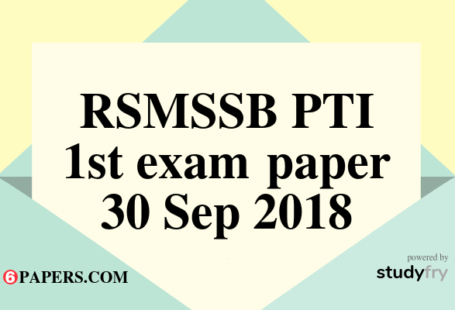 RSMSSB Tax Assistant Exam Paper 2018 (1st Paper) in English : RSMSSB Tax Assistant Exam Paper held in Rajasthan on 14 October 2018 available in English language. 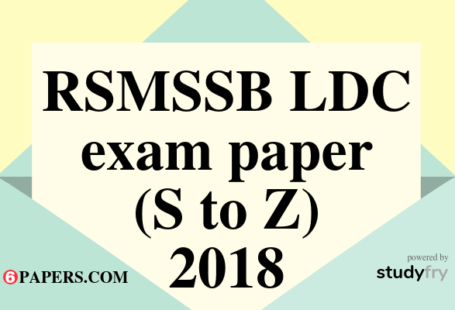 Previous year RSMSSB Tax Assistant Exam Paper. 1. ‘Oriya Plateau’ is situated in which district of Rajasthan ? 2. Tungsten is produced in which of the following mining areas ? 3. ‘Tropic of Cancer’ passes through which part of Rajasthan ? 4. “Takhat Sagar’ water body is situated in which district of Rajasthan ? 5. ‘Dead river’ is the title used for which of the following rivers ? 6. ‘Muhnot Nainsee’ was Diwan of which of the following States ? 7. ‘Battle of Tunga’ took place in which of the following years ? 8. Where is Patwon ki Haweli situated ? 9. Which of the following instrument is not used in the Terahtali dance of Rajasthan ? 10. Blue Pottery was introduced in Rajasthan by which of the following rulers ? 11. Which of the following dance form is related to the Garasiya tribe ? 12. Which of the following sanctuary is situated in Churu district ? 13. What is the limit of population for a city to be considered as Nagar Nigam in Rajasthan ? 14. Which among the following is writer of Rajtarangini ? 15. Which of the following is birth place of Meera Bai ? 16. Rajasthan Financial Corporation (RFC) was established in which year ? 18. Where is the ‘Hunchback Belt’ of Rajasthan situated ? 19. Terahtali dance is associated with which of the following castes ? 20. 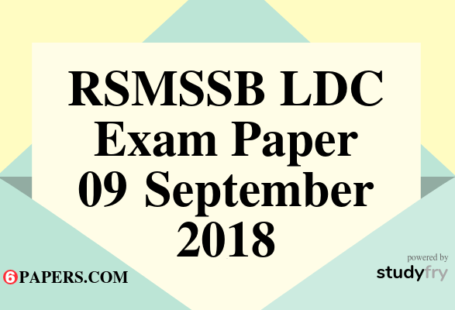 Which Lok deity is considered as “Vaishno Devi of Thar” ?